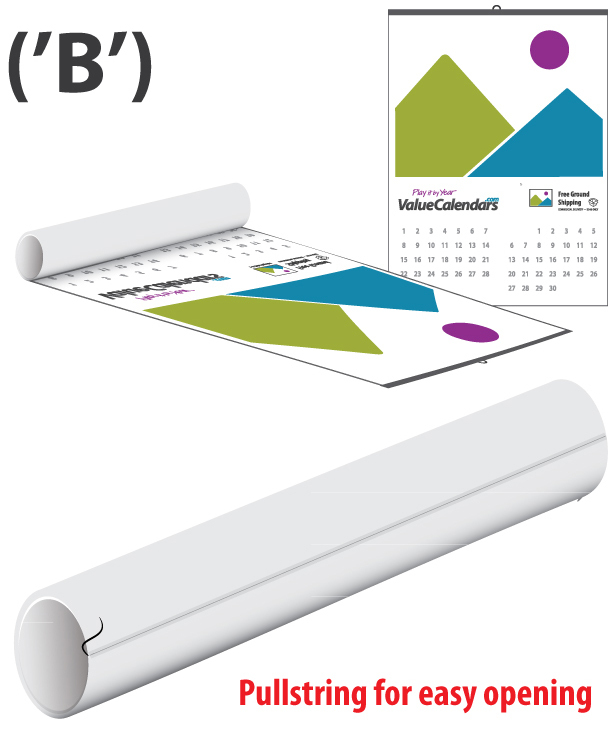 Have your calendars individually rolled and protected with a pullstring wrapper. Individually wrapped calendars are ready for easy disbursement and mailing. Refer to the Calendar Specification tab on your calendars product page for availability. Individual pullstring wrapping is available as an order add-on only.